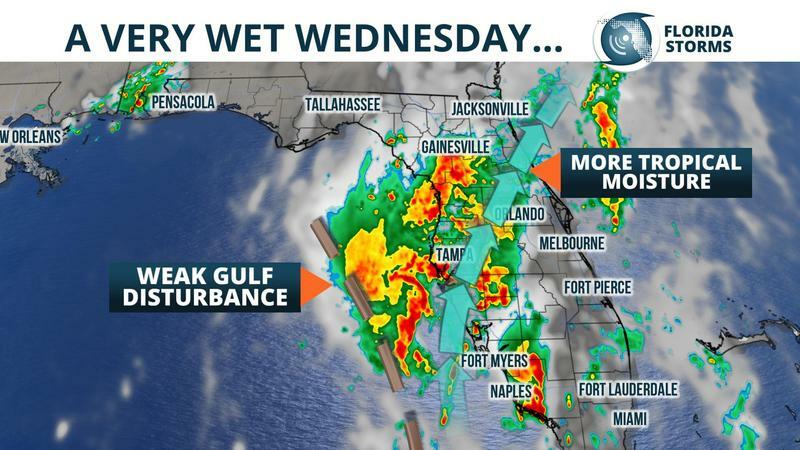 The heavy rain came sooner than normal for many Floridians Wednesday morning. 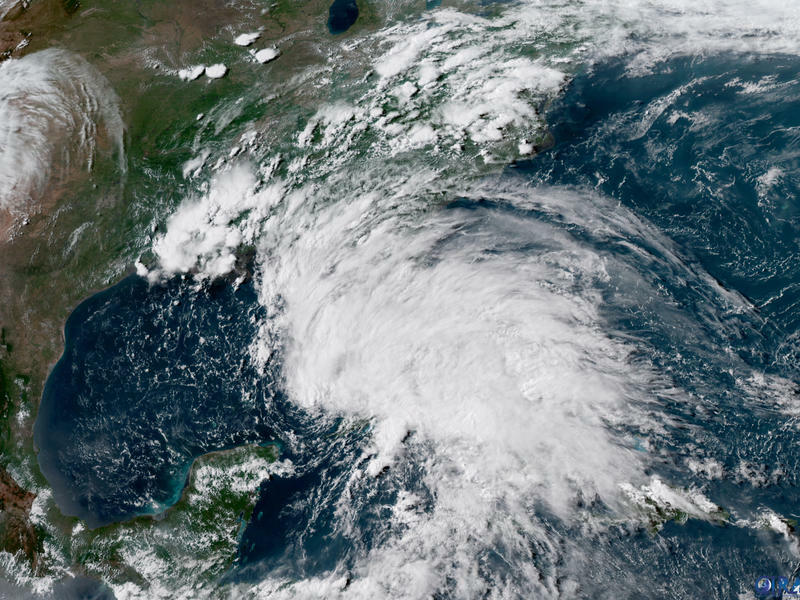 Subtropical Storm Alberto has made a turn to the north and will likely make landfall Monday evening near Destin, Florida. 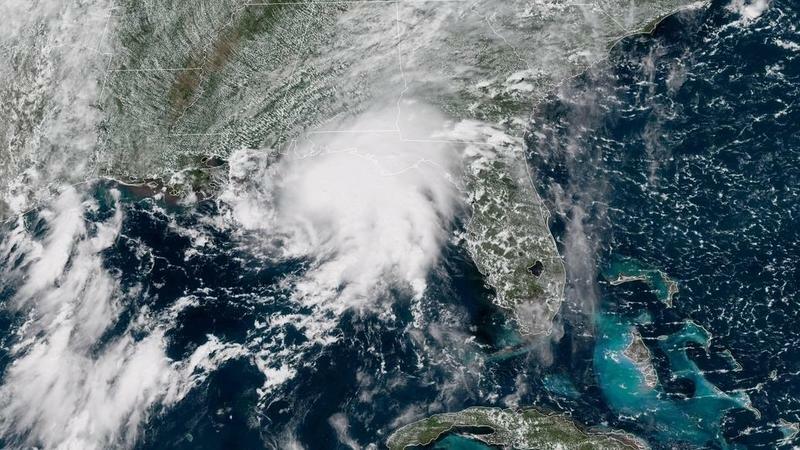 Conditions were already deteriorating quickly near Panama City and Apalachicola Monday morning, with wind gusts between 40 and 50 mph being noted just offshore. 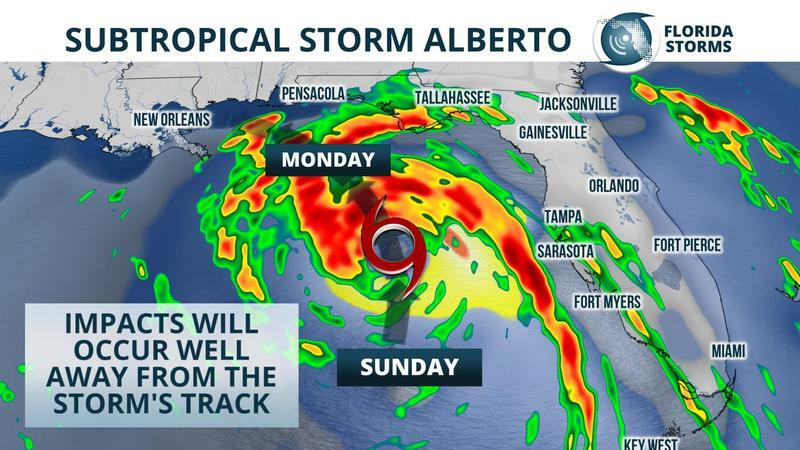 Subtropical Storm Alberto is now forecast to strengthen and take a track a little closer to Florida's west coast. 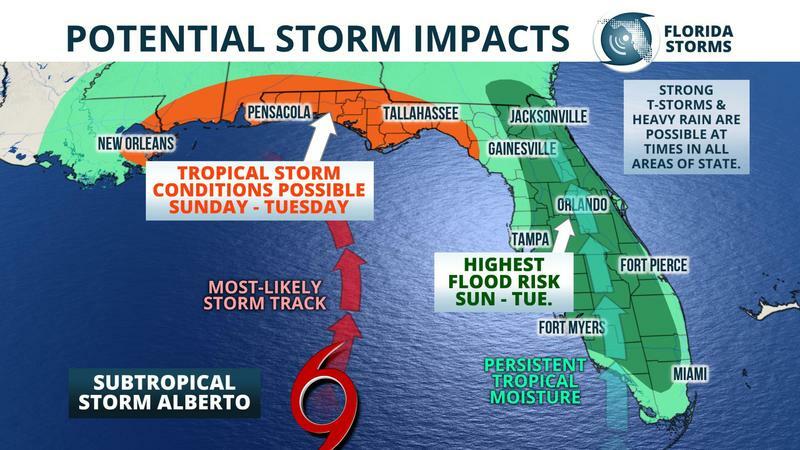 This has prompted the National Hurricane Center to issue a Tropical Storm Watch for much of the Greater Tampa Bay Area. A Storm Surge Watch has also been issued for sections of the Nature Coast north of Crystal River. 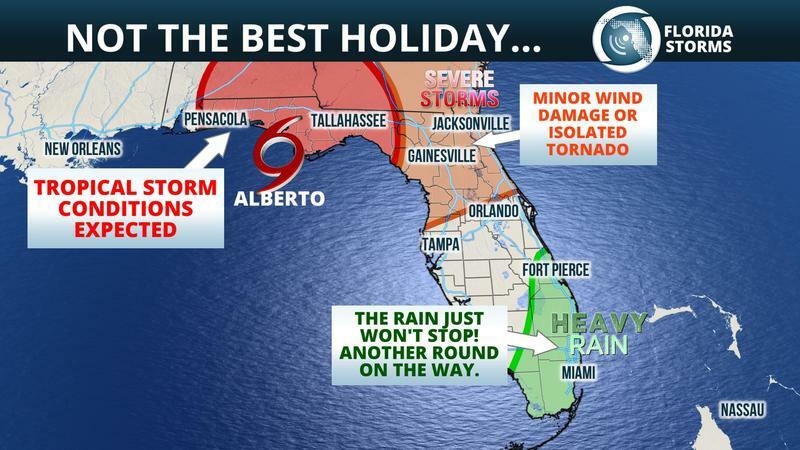 10:45 am update from the National Hurricane Center: Subtropical Storm Alberto is now official. 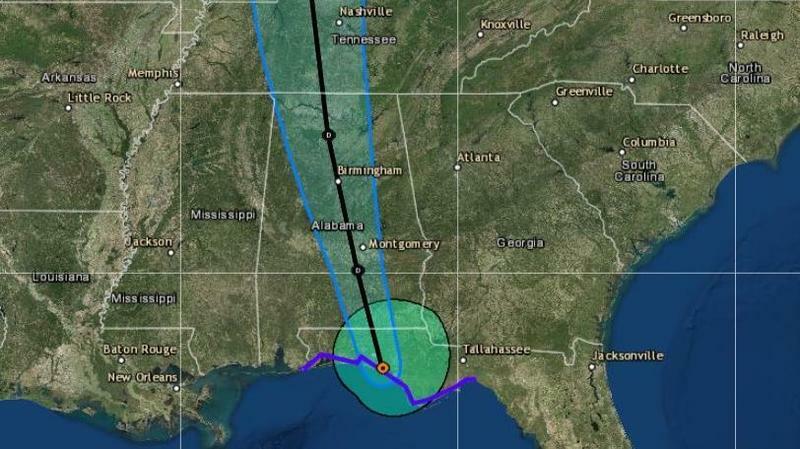 The National Hurricane Center reports the storm had maximum sustained winds of 40 mph and sustained winds of 39 mph. It's moving north, northeast at six mph. 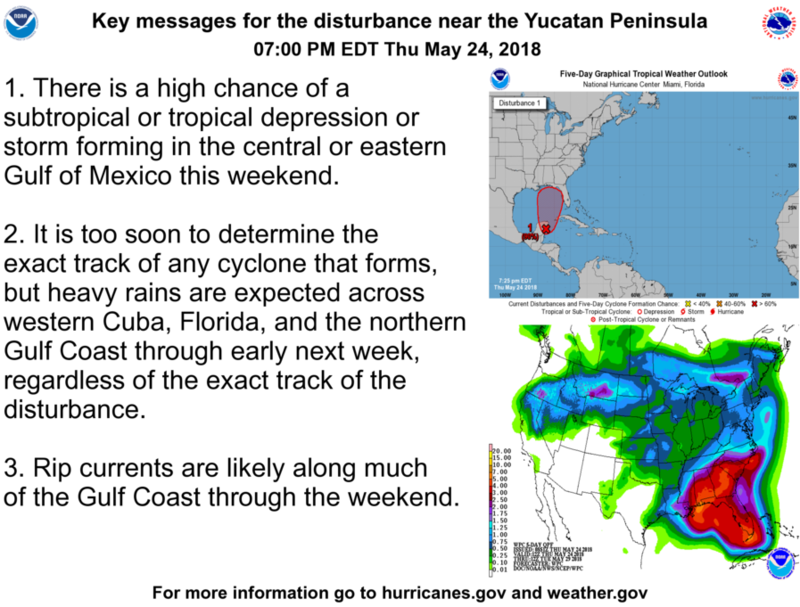 A tropical storm is likely to form in the Gulf of Mexico by Saturday, potentially strengthening and approaching the Florida Panhandle by Memorial Day.